Every day we create a digital memory book of our experiences when we log onto Facebook, send a tweet, or even snap a photo and email it to our friends and family. 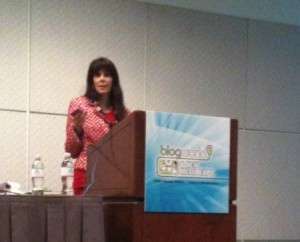 The largest and most exciting addition to my digital scrapbook was the most recent BlogWorld Conference and New Media Expo held in Los Angeles. It was an honor to be selected as a featured speaker where I spoke about The Rules of Netiquette: How to Mind Your Digital Manners. ?Following my session, I signed copies of The Perils of Cyber-Dating at the BlogWorld Barnes and Noble Bookstore on site. For those of you who could not attend the 3-day conference, I encourage you to sign up for the BlogWorldExpo Virtual Ticket,?complete with over 100 audio recordings of all of the sessions. You’ll learn an incredible amount about how to connect and relate in a Web 2.0 World from some of the most influential people in social media. I also had the opportunity to be interviewed by Nancy Spears of GenConnect,?Abby Johnson of WebPro News, and Sandi McKenna on Dot TV. WebPro News – What is Netiquette? Julie Spira is an online dating and netiquette expert. She’s the author of The Perils of Cyber-Dating and The Rules of Netiquette. Follow Julie on Twitter @JulieSpira. Like her at Facebook.com/RulesofNetiquette and Facebook.com/CyberDatingExpert. March did roar in like a lion. I’ve been busy day-and-night coaching singles who are getting ready for Spring Fever and working non-stop on my second book, The Rules of Netiquette: How to Mind Your Manners on the Web. Today, I took a well-deserved break to support the Success Through the Arts Foundation, held at the trendy Ford’s Filling Station restaurant in Culver City. For non-Angeleno’s this is is the locale of Harrison Ford’s son’s restaurant. Although it was rumored that Harrison and Calista Flockhart would be in attendance, they never made it to the event. However, long-time supporter and Board Member Jackson Browne came to show his support for the organization that has helped thousands of children at View Park Prep and Washington Prep High Schools in South-Central LA. 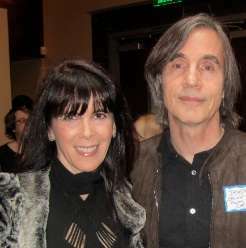 I had the opportunity to chat with Jackson Browne who was saving his voice for an upcoming performance and reminisced about the days I used to play his music on the radio. In this week’s Where’s Julie column, I’m happy to say that I’m home curled up by the fire busy confirming Valentine’s appearances for the next two weeks. However, in between snowstorms, I had the opportunity to spend a few days in New York City, where I appeared on NBC News to talk about my new book, The Rules of Netiquette: How to Mind Your Manners on the Web. The segment was called Netiquette: Minding Your Virtual Manners. I hope you can take a moment to view the video. Comments are always welcome. Even Pope Benedict embraced netiquette for social networking last week. The Rules of Netiquette was originally the title of a chapter in my first book, The Perils of Cyber-Dating: Confessions of a Hopeful Romantic Looking for Love Online, inspired in part when an ex-fiance ended the engagement via email. Yes, that was a netiquette no-no. 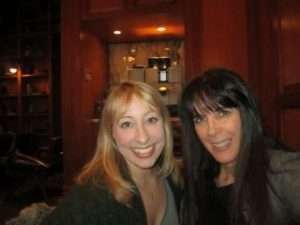 While in New York, I had the chance to sip cappuccino with She Knows columnist and author, Jamie Beckman, whose book is featured this month in the Cyber-Dating Expert Reading Room. I also met with the GenConnect group to go over the final details of my Valentine’s live chat scheduled for February 3, 2011 at 3:30pm/Pacific time. The subject will be “For Lovers and Lovers in Waiting.” I’ll be posting details on how you can participate in the live chat on Monday, so get your relationship questions ready. On Friday, our friends at eHarmony posted my article 5 Reasons She Won’t Call You Back on their site and sent it out to 5 million people on their eHarmony Advice newsletter. The last I looked, there were 76 comments so feel free to chime in. Needless to say, I’ve been busy working on irresistible profiles throughout the weekend for those looking for love online or at least a date before Valentine’s. Valentine’s is around the corner, and I’ve gone on record as saying, “Valentine’s to a woman is like the Super Bowl to men.” With that in mind, we’ll be posting several articles to help you leading up to Valentine’s Day, regardless of your love stage. For now, take a look at my recent post, Valentine’s Etiquette: Dos and Don’ts for Your Valentine. Stay tuned for my Valentine’s special offer for Irresistible Profiles for a limited time on February 1st – 6th. ?I’ll also be posting some special free offers from some of the online dating sites next week which are worth signing up for which will appear in the Weekly Flirt.